I can't tell you how much I love them. My favorites are Cherry Pie and Coconut. They cost about $1 each when they are on sale. Exactly! Dates, almonds and unsweetened cherries. Then I found this great tutorial. Not to mention she is one of my favorite food contest winners. She even won the Southern Living Cook Off! Her recipe made two bars. And they are really good and taste just like the real thing, only cheaper! Put the dates and cherries and water in a food processor. Pulse until processed to a paste. Transfer paste to a bowl. Add the nuts to the processor and pulse until finely chopped. Add the fruit paste back to the processor along with the cinnamon. Pulse until clumps and combined. Spoon mixture into storage baggies and squish into a flat shaped bar. Cut into two bars. Store in the fridge. Have you tried anything new lately? Head over to Alicia's Homemaking to see what others are trying. Pulse dates in food processor until finely chopped. Add boiling water and pulse until sticky. Add nuts and continue to pulse until the mixture starts to clump. Add coconut and pulse until combined. Divide mixture into 2 and press into the bottom of food storage baggies. Then press into a bar shape. Refrigerate and then cut each bar into 2. This recipe makes 4 bars. Easily doubled to make 8 bars. 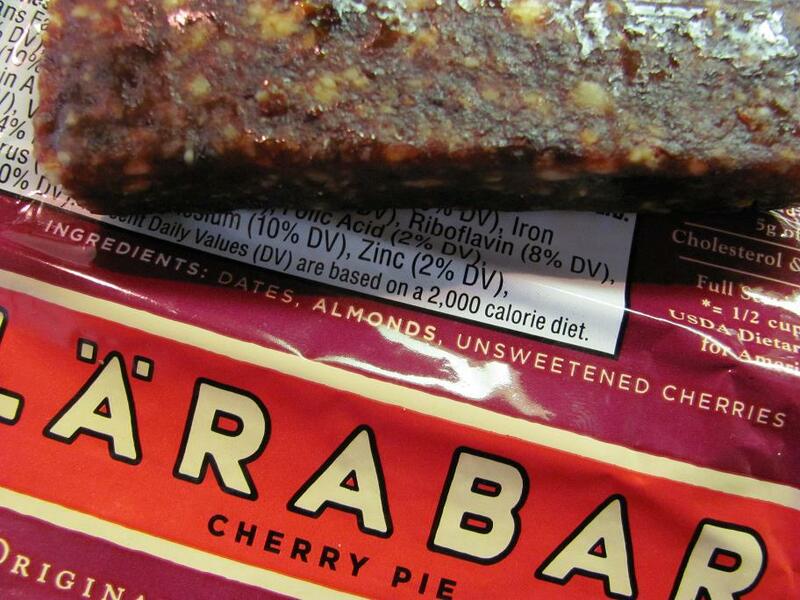 I've actually never had larabars, I think it's the price that has scared me off. 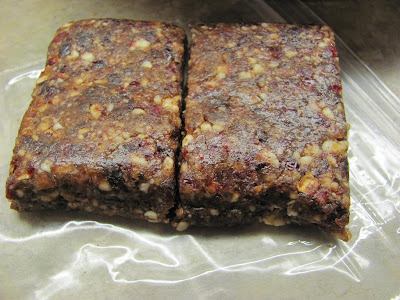 I have SO wanted to make my own bars but haven't done anything REALLY healthy yet. These look good! 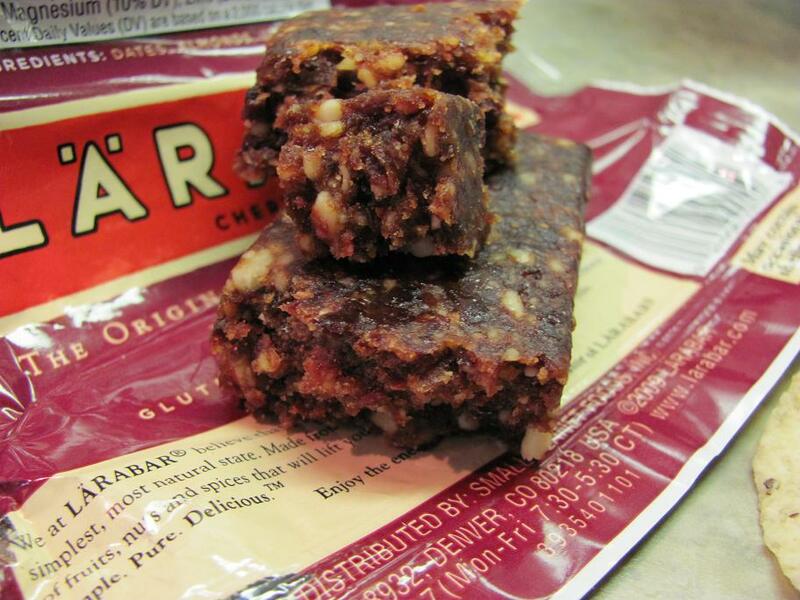 Can you believe I've never ate a Larabar? I always thought they were to expensive, so I just never bought one. 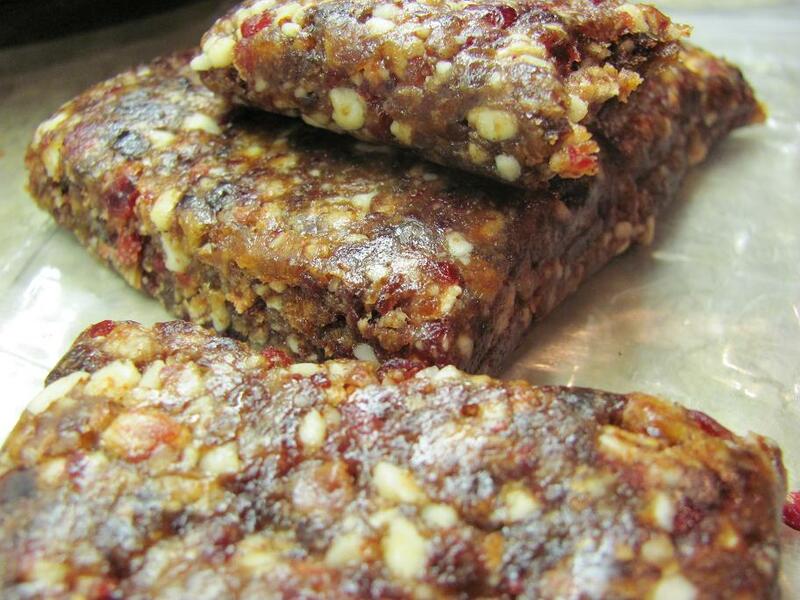 This looks pretty easy, and is loaded with healthy ingredients. It would make a great on the go snack or meal to. I'll have to give them a try. Oooh, I can't wait to try these! Thanks Candi! Can you recommend any other fruit besides cherries to use in these? I need a new on-the-go, granola bar to eat....especially since it looks like i'll be going back to work next month!!! Details will be revealed on that next week sometime!! Have a great Easter! I'm going on vacation next week! I just made something similar for the first time this week and almost posted about it to TNAT, haha. I can't wait to try this recipe it looks really yummy. I just finished eating a Larabar! I've always wanted to make my own. Yours look fabulous! Thanks for inspiring me to try soon! Mandy, I would think the possibilities are endless with the dried fruit. You could use dried cranberries, dried blueberries, raisins, prunes...I bet those orange essence prunes would be totally delicious with dark chocolate...hmmm I might have to try that soon! Our kids and myself love Larabars. Thanks for the recipe. We use them as snacks when we are out in Service. Pinning on pinterest. I love Larabars. I made a homemade apple pie version and they are SO SO SO good! I haven't tried the cherry pie but will soon! Ok, I'm making my shopping list, what are "cocoa roasted almonds" and are they much different from regular almonds?